A man who admitted stabbing his brother in an argument about money has been jailed. Marek Michal Pietras, of no fixed address, had originally been charged with attempted murder following the assault in the early hours of 26 February. The 32-year-old denied attempted murder but pleaded guilty to unlawful wounding. It was for this charge that he was sentenced to 30 months in prison when he appeared at Canterbury Crown Court on Monday 13 August. Police were called to the Travelodge in Royal Parade at around 12.40am after Marek Pietras stabbed Rafal Pietras. Pietras had been staying at the hotel while he worked on a nearby shop-fitting project when the incident happened. The assault came to light when the 30-year-old victim stumbled into the hotel’s reception area covered in blood and told staff he had been stabbed. Within minutes Pietras fled from the hotel. 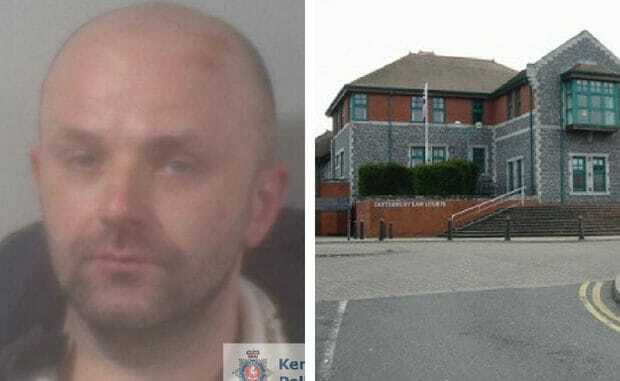 Rafal told officers that Pietras had become enraged during an argument about money and had stabbed him with a knife, which was later recovered from the hotel room. he was taken to a London hospital with serious injuries including two puncture wounds to his chest, a wound on his forearm and a laceration to his head. He has since made a good recovery.